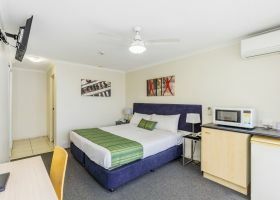 A Queen Studio apartment sleeps 1-4 and contains a queen bed. Can also accommodate up to 2 x king single rollaway beds (extra charges apply). 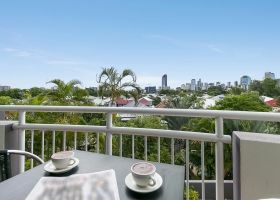 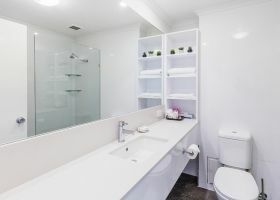 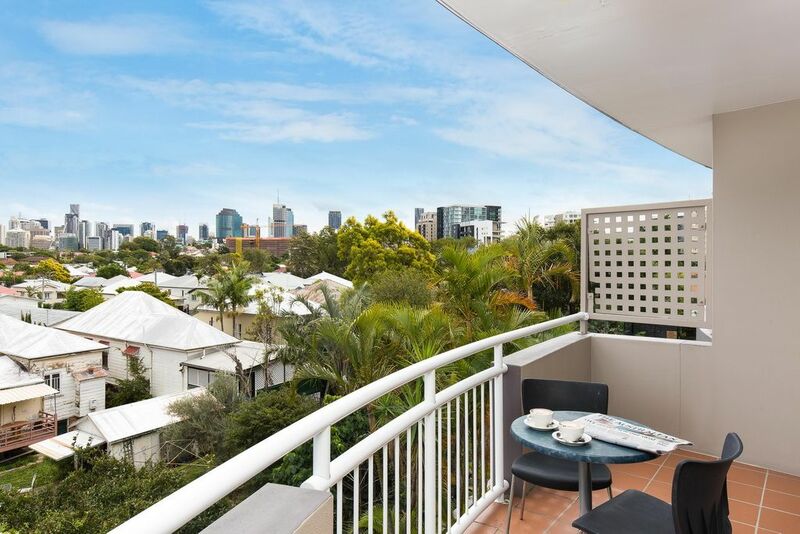 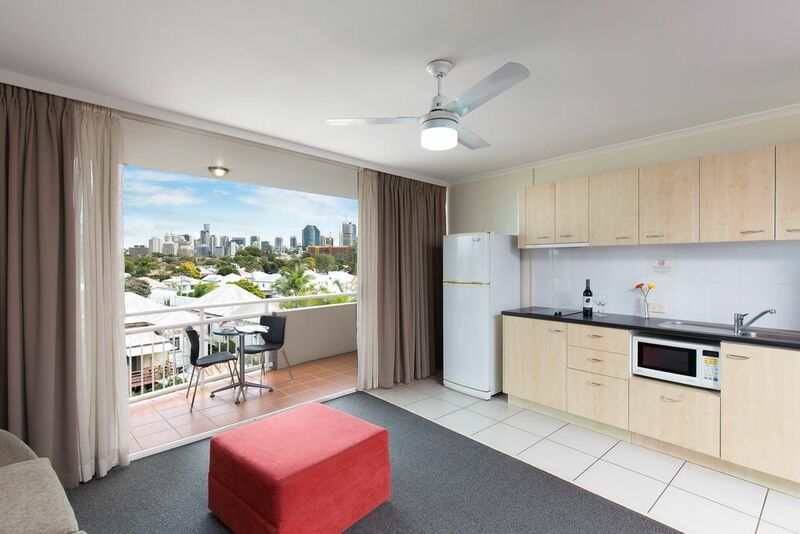 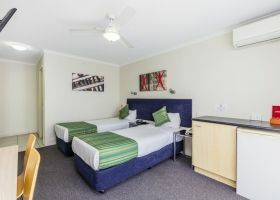 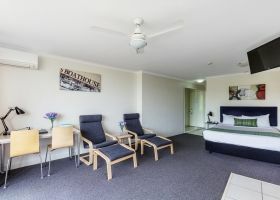 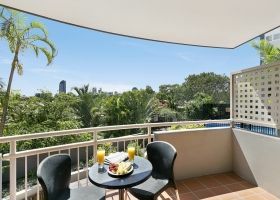 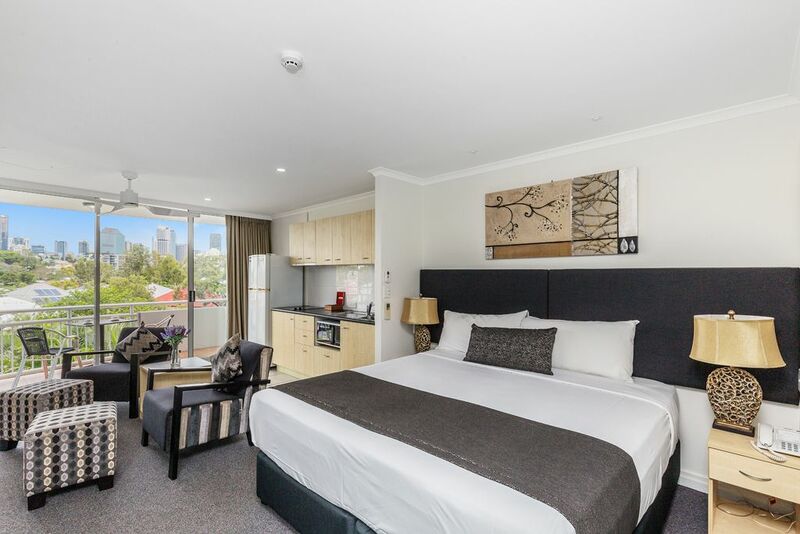 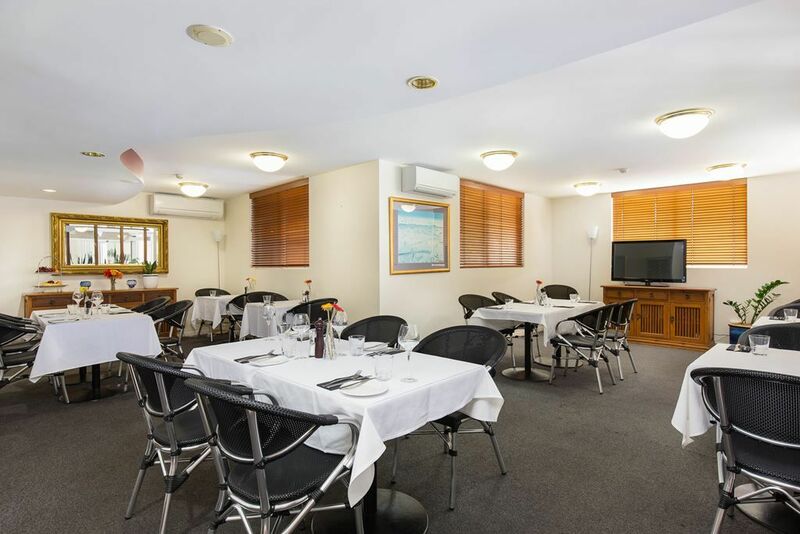 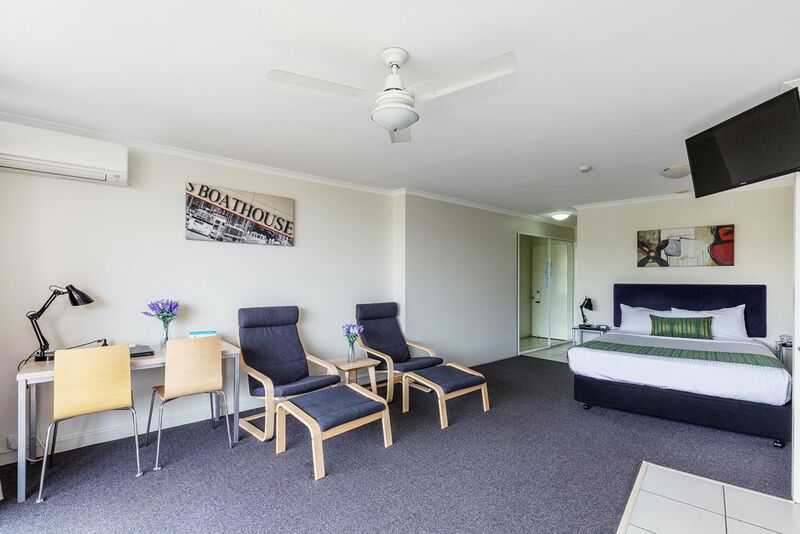 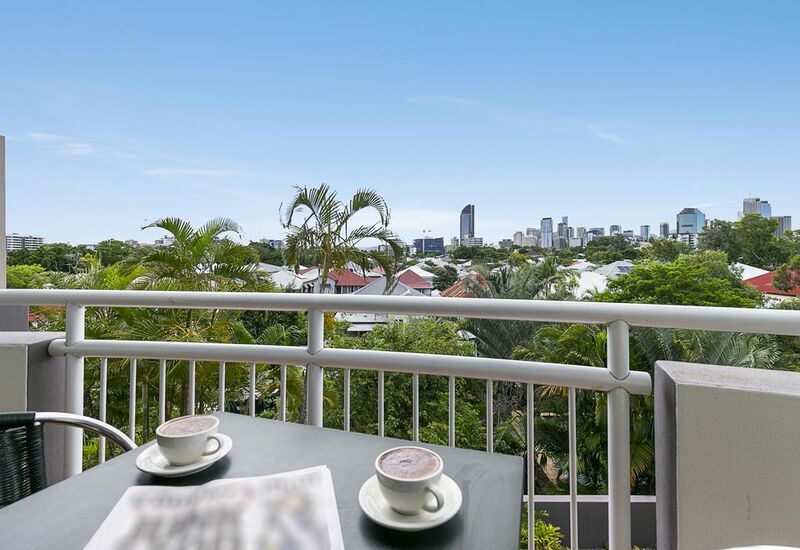 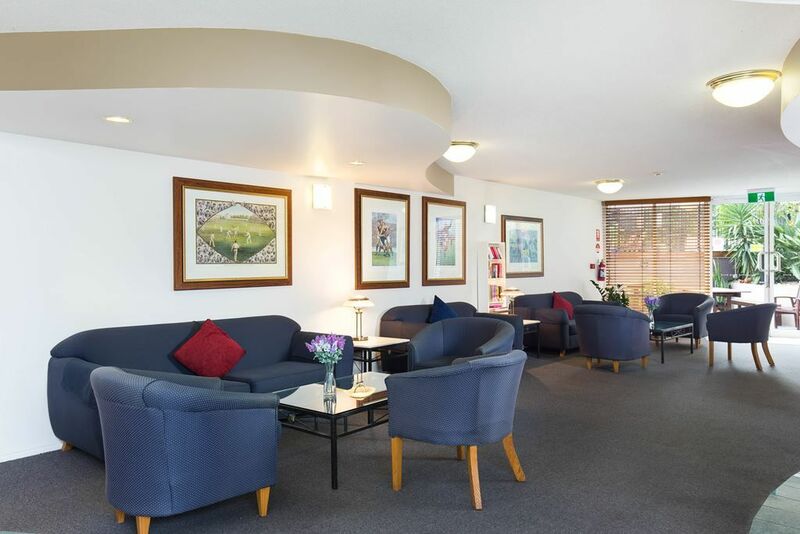 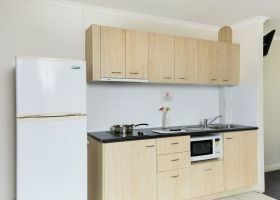 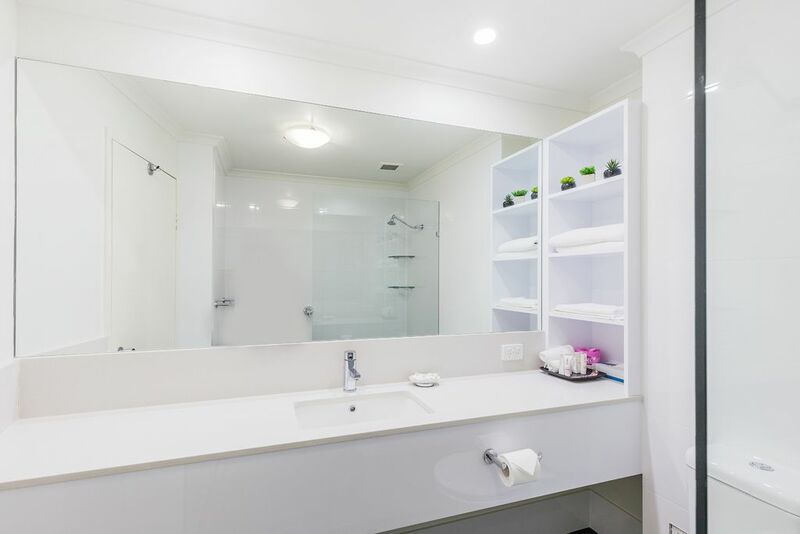 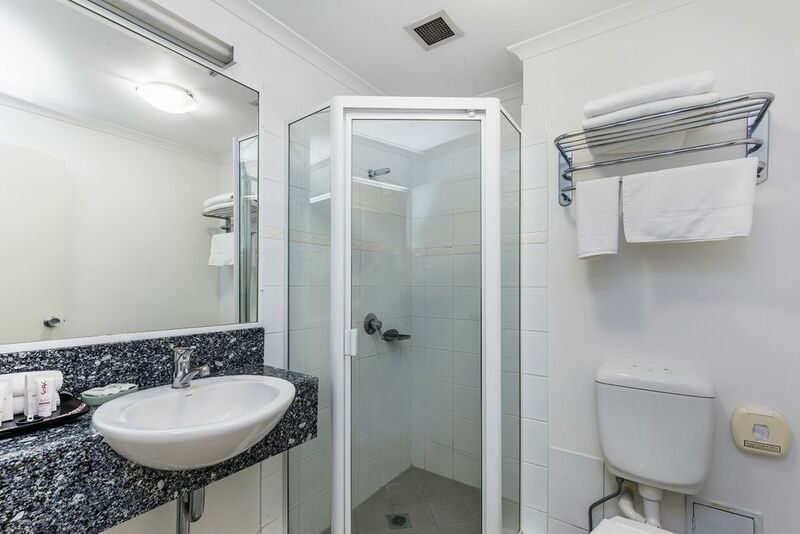 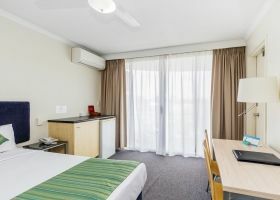 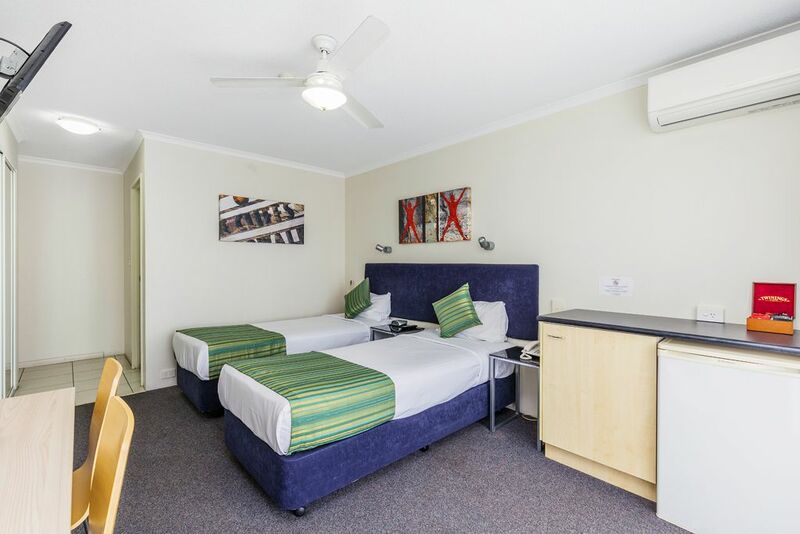 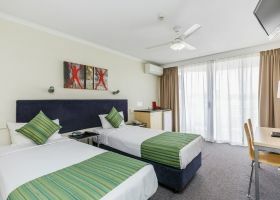 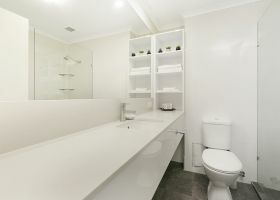 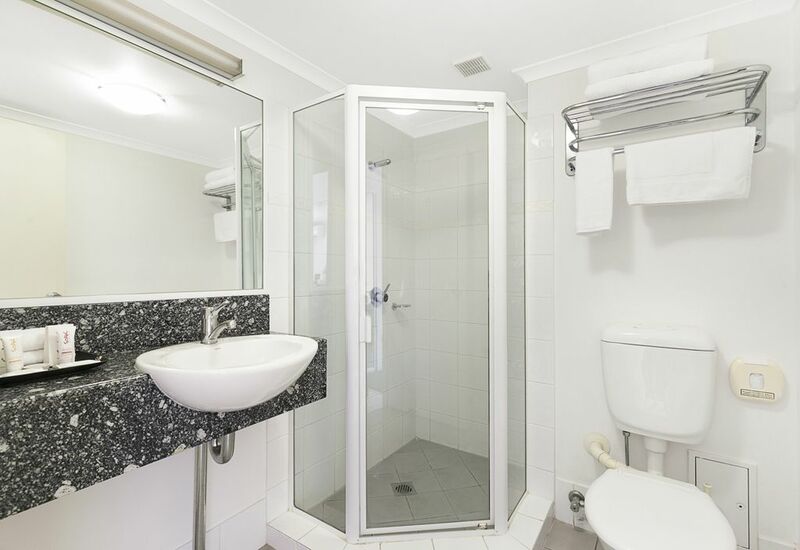 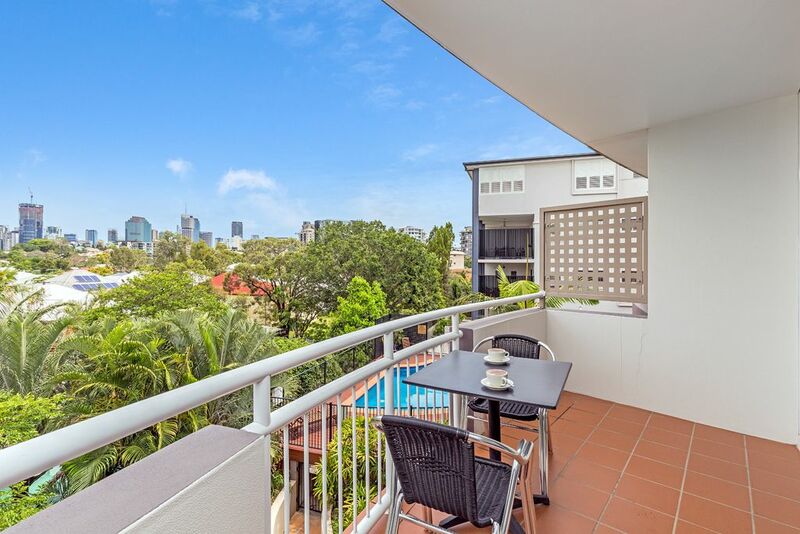 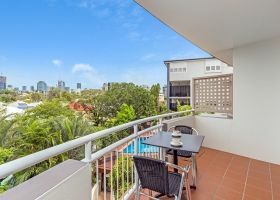 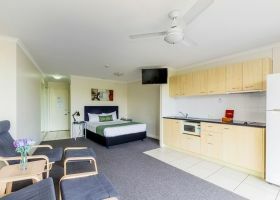 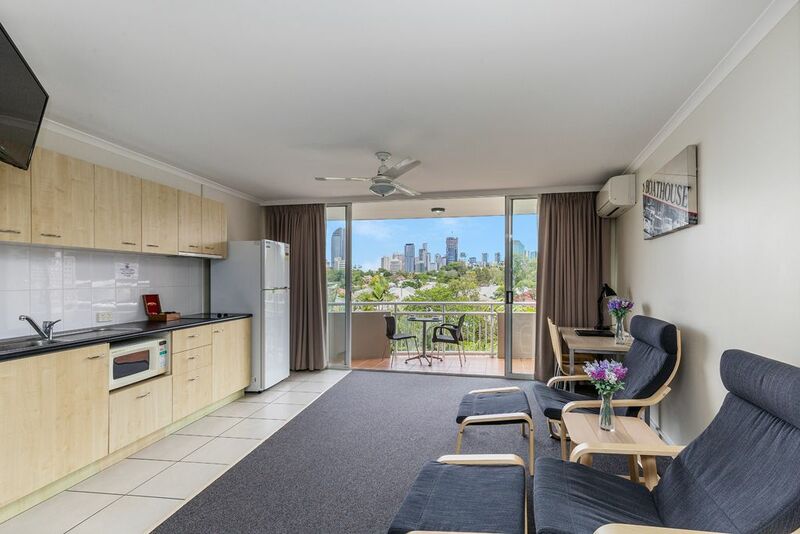 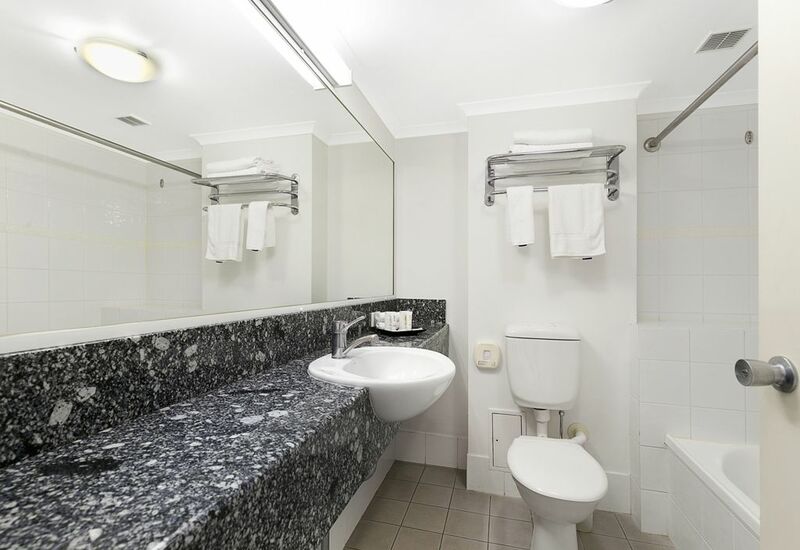 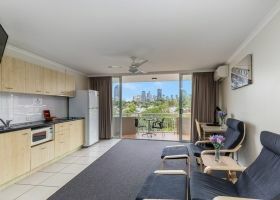 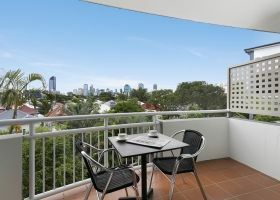 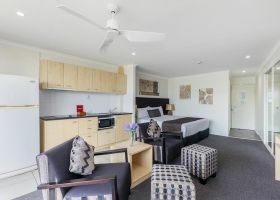 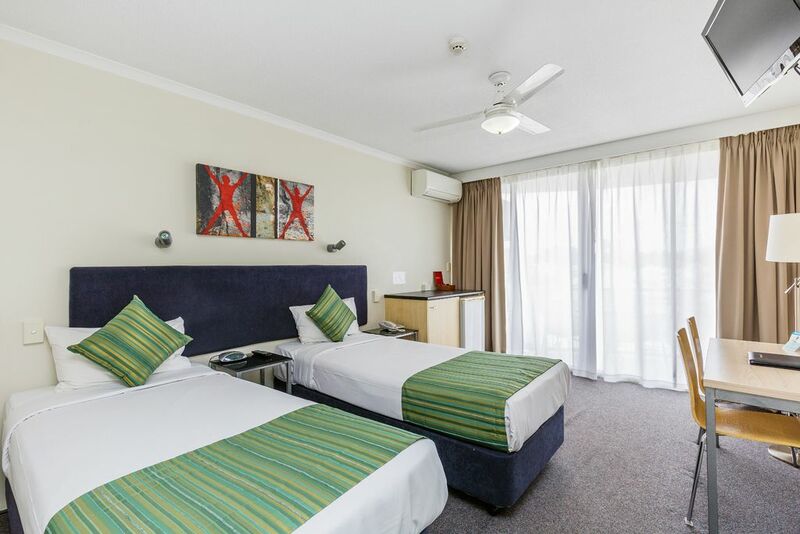 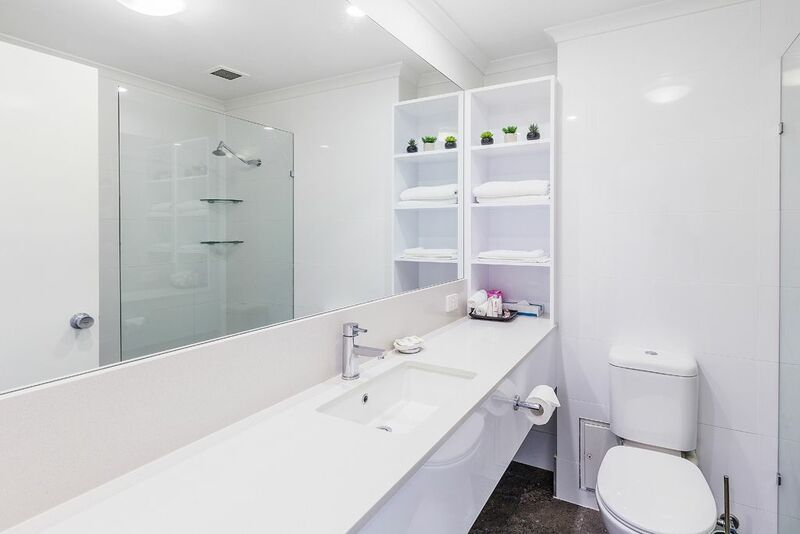 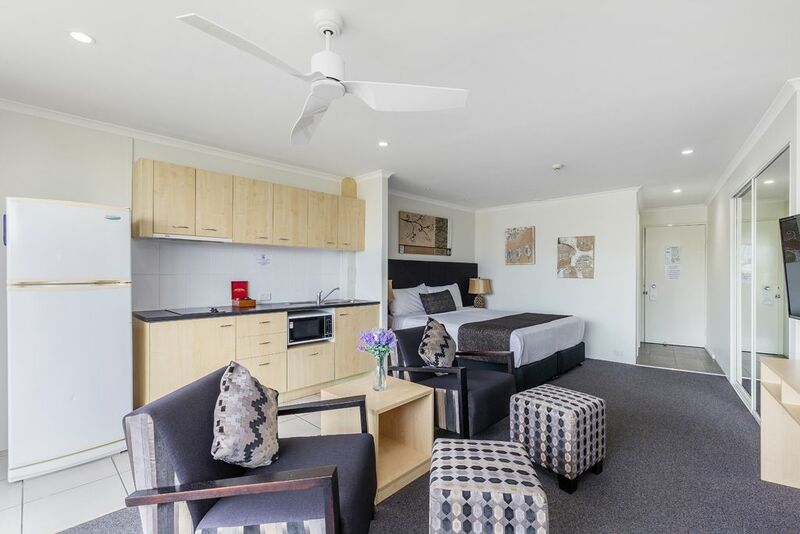 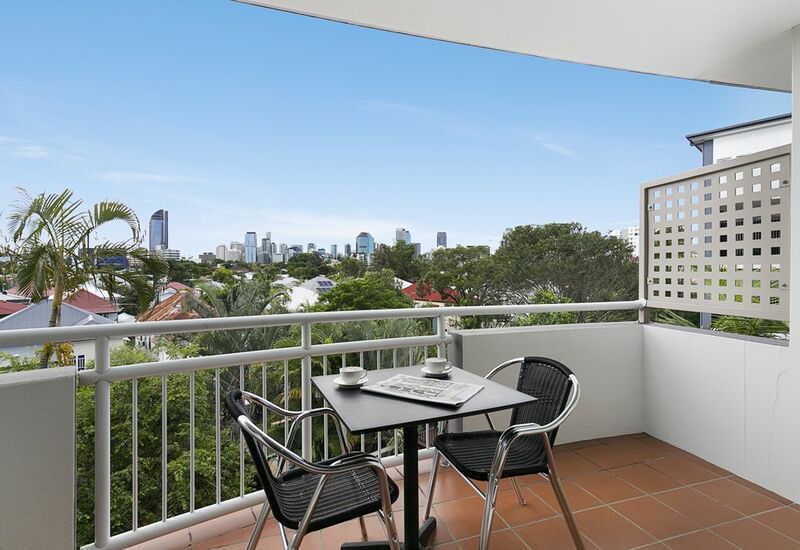 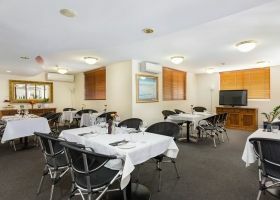 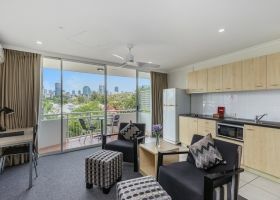 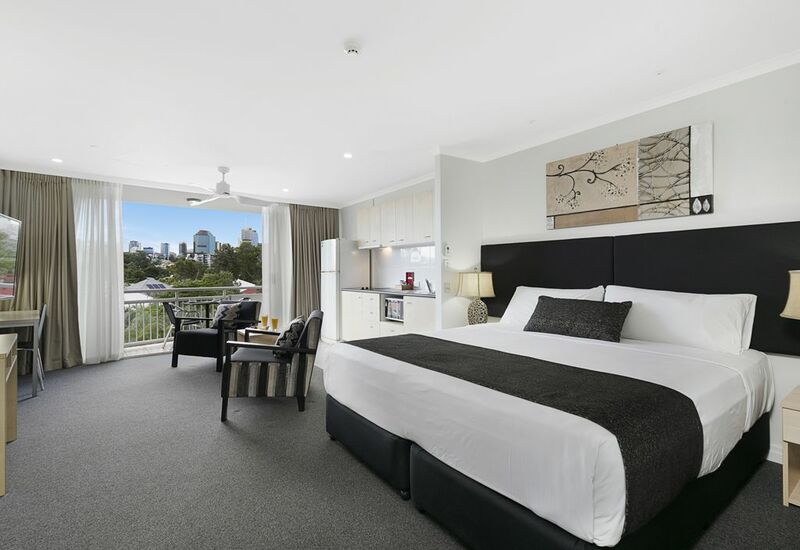 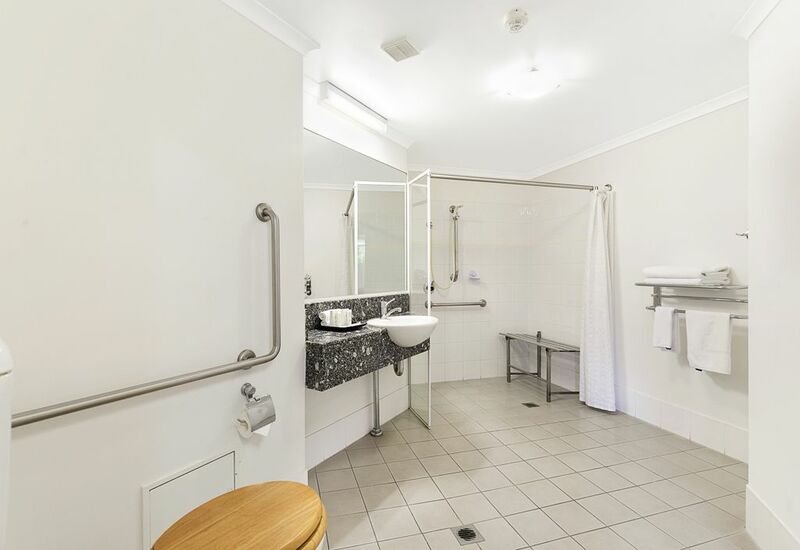 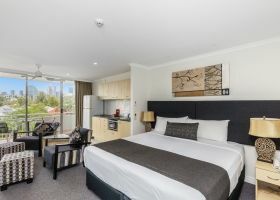 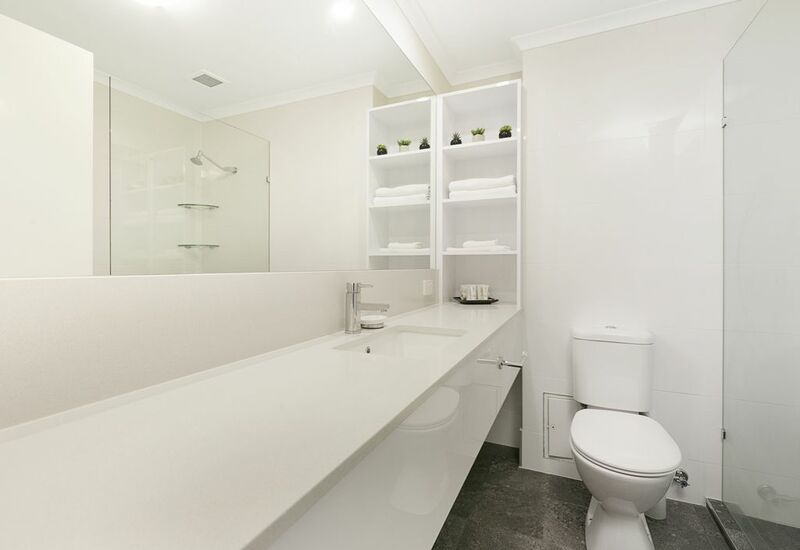 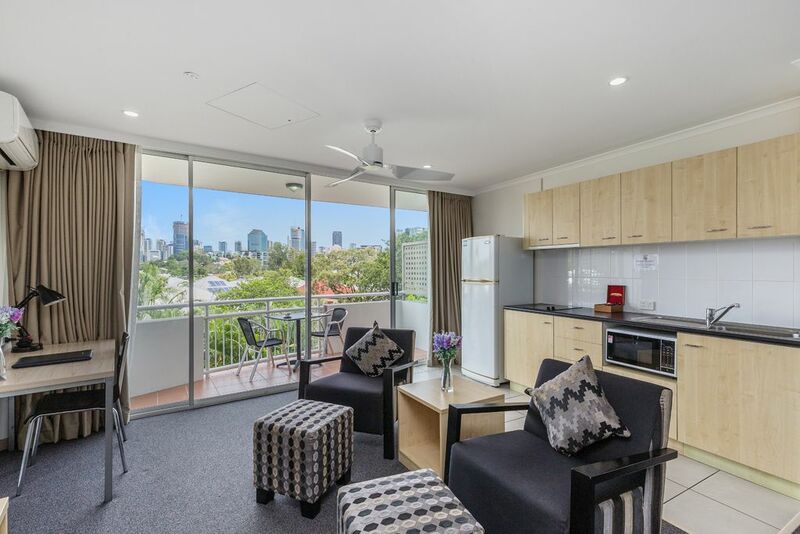 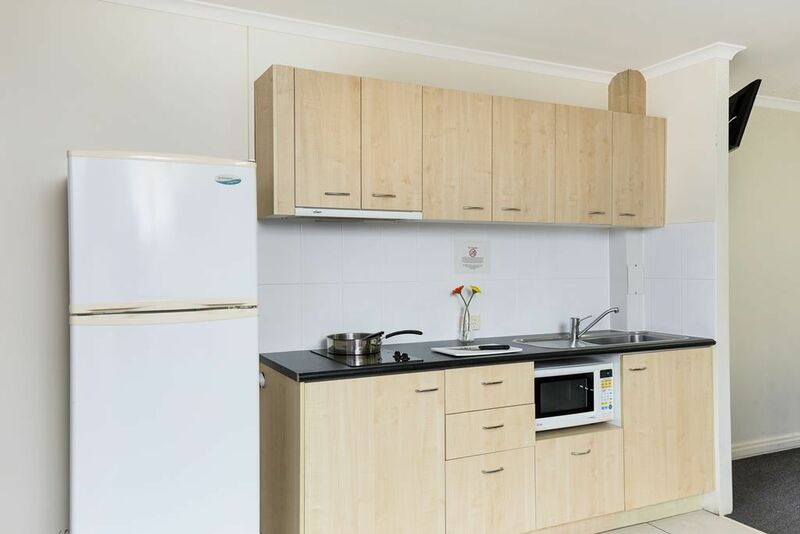 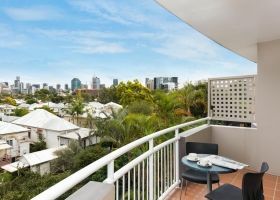 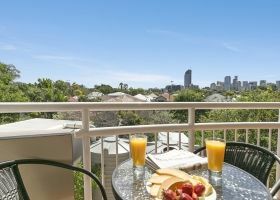 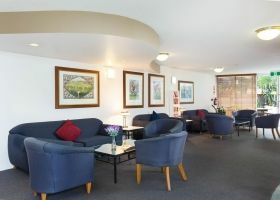 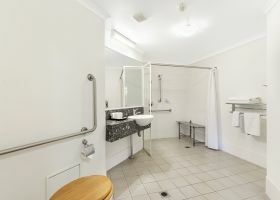 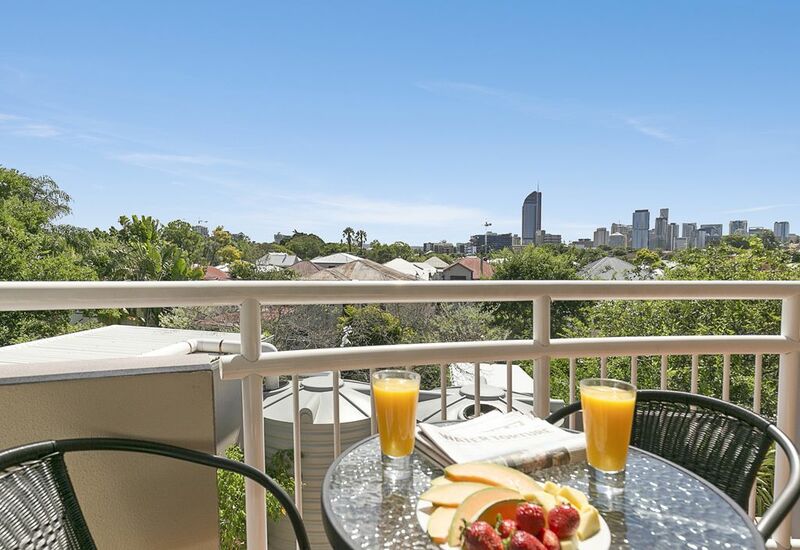 A two bedroom suite is a studio apartment plus an interconnecting room containing either a king bed or two single beds with a TV, table & chairs tea/coffee making facilities, ensuite with walk-in shower and balcony/courtyard. 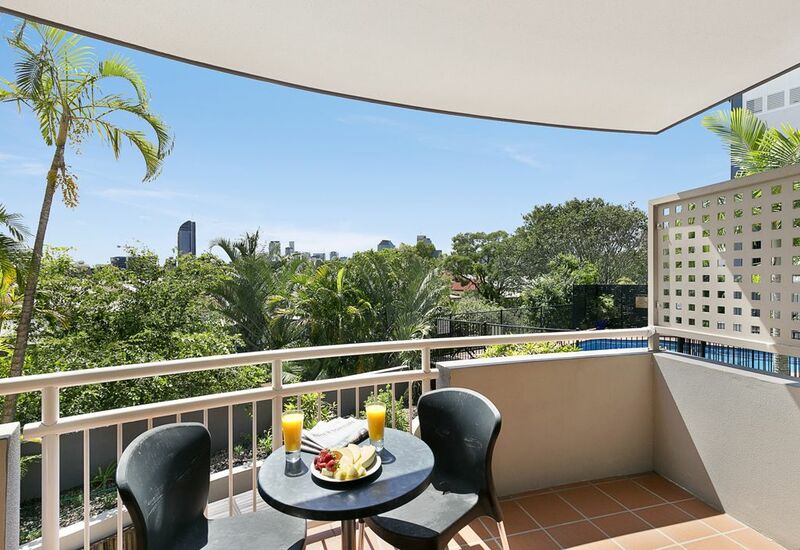 Wheelchair ramp access to your private balcony. 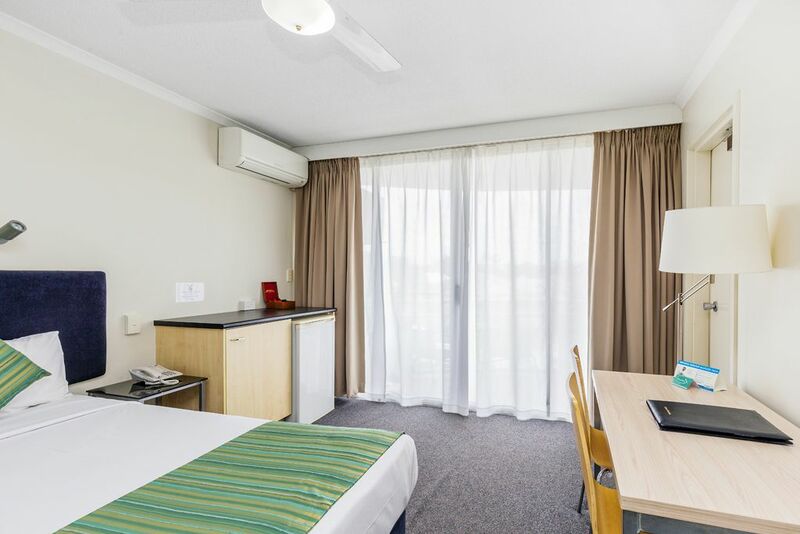 Easy access from the Entrance of our hotel and secure carpark. 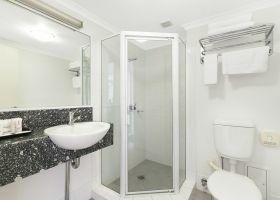 No stairs on entry. 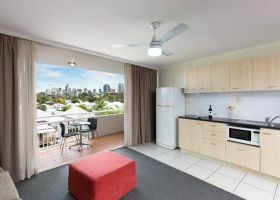 TV, balcony/courtyard , reverse cycle air-con plus ceiling fan and minibar. 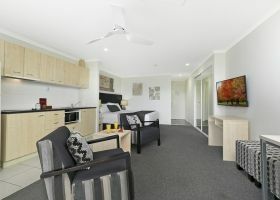 FREE SECURE PARKING, FREE Wifi and Foxtel. 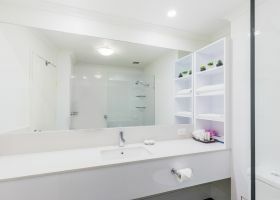 Daily housekeeping service included. 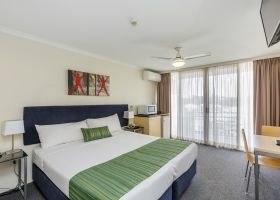 Rates are for 2 people in existing bedding.